Let me take this opportunity to introduce myself as a new witness. I am a new backup witness, produced my first block today! I usually do not lobby for Witness votes, nor do I “advertise” in this field either, as I personally believe that every person's “vote” in life, is a personal choice. Nothing worse than watching all those “Vote for me” ads during elections! I would like to consider this post as a “Get to know me” type of post and just as importantly, get to see an individual and in a unique approach to showing and proving that your vote won’t go to waste, get lost or unnoticed by the masses. As Steemit grows, as the number of Steemians increases, so too shall the requirements to expand our blockchain. We Steemians are definitely a multicultural society made up of various communities. We all have one thing in common and that is that we want to see Steem grow in value. It shall definitely take a wide variety of contributions to cover all the bases here as our society grows. One of the most important contributions to our blockchain is having reliable Witness servers with reliable maintenance and support. As codes change so to do requirements, for example when there is a new Hard Fork (HF), requirements change. It is at each and every one of these crucial moments of change that we see the need for reliable Witness servers. So having stated the basics in my preface, I shall now move on to my intro. I shall approach this post systematically as it could very well be the most important post that I shall ever have to write. It has been set up by Privex Inc. who have shown to be one of the most reliable partners here on Steemit for Witness Servers. The listed server above has been paid for in advance for a period of 12 months. Likewise, the technical services of @someguy123, the CEO of Privex Inc., shall accompany the hosting service. So I have ensured a full 100% reliable Witness Server with full technical support and services of a trusted professional for the next 12 months. Yes, you read that right, I have paid in advance for the next 12 months. I’m in it for the long run. What this means is, that no matter where I am, or what I am doing, there is a team of professionals ensuring that everything is up and running. So the server isn’t dependent only on one person (me), but a team of people. This is what I see to be the most important factor in all the listed “specs” and details of my server. Of the TOP 200 there are 73 that are disabled. Well over 1/3 of them are NOT FULFILLING THEIR DUTIES! Yet they are taking up position in the top 400 witness list and definitely not promoting Steem and Steemit in the best manner. The voters who have voted for them and who have not checked on the status of the Witness Servers since then are not getting what they voted for. We need Witnesses servers that shall be up and running, we need to show the world that ALL our witness servers are reliable. The above facts that I listed with the number of DISABLED servers, definitely do not have that effect! If you don’t believe me about the numbers, then have a look for yourselves. Is this what we want people to see when they look at the list of the TOP 400 witness servers? We need Witness Servers that are guaranteed to run for longer periods of time. THAT IS WHY MY 12 MONTH MINIMUM IS SO IMPORTANT! The seed and backup shall then be in line with the requirements to ensure our blockchain gets the reliable services it NEEDS. One of the things that I have in place at this moment, to ensure this is done smoothly in the event that changes happen in a short period of time, is a credit on the server package I have and likewise a credit with the support service. So if for example our requirements jump dramatically in a short period of time and the above specs are not ample for an effective Witness Server, I am one step ahead of it. I am ready to take it on. All of this shall be done in cooperation with Privex Inc. and @someguy123 who are my best reference in assuring that everything I have stated here is 100% on the ball. No 'wishful thinking' or 'sales pitch'! I am a family man, literally, that could very well be the best description for me as a person, faithful husband to a lovely person who is the love of my life, you can meet her on her profile @sylviamiller. We have four children, our eldest child is 19 years old, our daughters are turning 14 and 13 this year and our youngest, well he is a “character” to say the least! You can get to know a bit more about us on our family profile: @millers. As for my personal views on community life, I am a firm believer in the middle class being the backbone of any society that wants to be successful and have a bright future. I BELIEVE THAT MINNOWS OF TODAY ARE THE DOLPHINS OF TOMORROW & THE WHALES OF OUR FUTURE! Through my life journey, I have traveled the world, worked in various places and had the opportunity to encounter many new peoples and cultures. My life has been very colorfull as far as experiences go. I believe in a persons individuality and am a firm believer in “The Universal Declaration of Human Rights”. This is something that all my life experiences have lead me too as for my “political” views as some may call them. 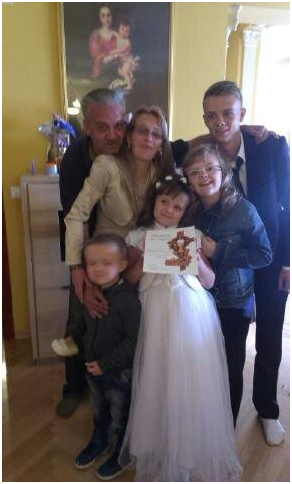 My life is my family and everything I do and think revolves around my family. My wife and our children are what keeps me going. I think that this last sentence here sums up everything about me as a person. Why did I decide to become a Witness? One of the things that life has taught me is that you have to invest in what you believe in. I’m not referring to “money” alone, but to investing “yourself” your devotion, your loyalty. I feel the moral need to invest back into this blockchain and help build it so that it can expand and become everything it can be for everyone of us. I do not take this lightly or see it as just a “server” that is paid for and set up to run 24/7. To me there is so much more to Steemit than just a social network with an emphasis on blogging and with all the rewards crypto as such has to offer. Steemit has helped me change my views on many things and it has given me more than what I can ever repay it, so I feel that it is my moral duty/obligation to give back to this endeavour. That is my motivation as to why I have taken this step. Ref: Commitment, Devotion and Loyalty. Our Lives Have Changed. Ref: Loyalty In Business = Integrity! Partners or Employees? As for my responsibilities as a Witness, I studied them long and hard. I didn’t just jump head first into this. Again, I stress, this isn’t a decision I made easily, it was well thought out and I did my due diligence prior to going into the decision making process. I fully understand that as a Witness I have important responsibilities and duties. I have to take this opportunity to express the fact that there are people here who have helped me out along the way. I wholeheartedly respect them and am grateful. Likewise there are people who I see as sincere hard working Steemians who have given me a lot positive energy here. They know who they are and I have to say “THANK YOU”. As an example of how seriously I take decisions that involve responsibility at this level, back half a year ago or so, when I started two fundraising efforts here on Steemit I went as far as to send a photo of my ID to a Witness with whom I was discussing the topic. Likewise I sent this proof of ID to a person who was back then a key figure in Team Australia. Quite simply, to prove that I as a person take full responsibility for something of that caliber. I understand that this was never asked or required of me, personally I believed that this was a necessity to ensure these people who head one of the communities that I am a part of, that my intentions were 100% true blue. My wife and I did everything to the best of our capabilities and successfully completed even more than we ever expected to achieve. Shall I change as far as my personal wall posts here on Steemit? NO. I have always done my best to express myself as an individual, to be who and what I am, just another human being and no title or award has ever made me look differently at others. There shall be the required differences on my wall, that go with the job, namely the Witness updates. Apart from that, I plan on using my wall as my private little part of this blockchain and the internet as a whole. 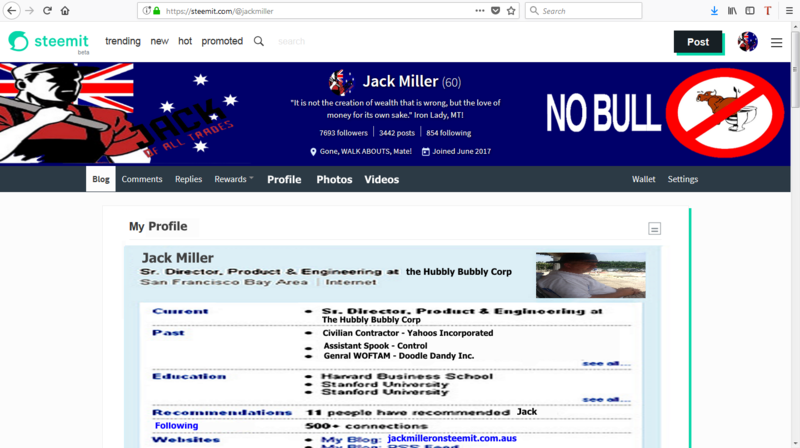 Recently I have taken the necessary steps to ensure that my profile wall is in line with my plans and the facts that things here are changing so rapidly that even a speeding bullet can’t beet them. Everything from all the third party apps to the upcoming SMTs. Ref: How I Found A Way To Adapt To All The New Apps & Services Out There! What are my visions as for the future of Steem? Steem and SBD need to be listed on the USDT market. They need to be in ALL of the reputable USDT exchanges out there. I firmly believe that in order to achieve this each and every one of us needs to give 110% at what we do here. Not just Witnesses, but everyone. From the bloggers all the way to the programmers. No one person or one group of people in a community make a community function successfully it takes EVERYONE! As the old saying goes “A chain is only as strong as its weakest link”. We all need to accept and understand this in order to make things happen. My vision of Steemit and our blockchain is one that has become a vision of the future. Many of us have watched old science fiction movies in which people were talking into watches or using some form of “electronic book or tablet” which back then when the movies were produced was literally “science fiction”. Yet today it is all “normal”. This is how I envision Steemit and our blockchain. It is a gateway to the future. We shall become a major influence on the future of blockchain technology and how things evolve in it. With all the people contributing to our blockchain at this very moment and the fact that we are just now entering into our second year of existence it is clear to me that this place is going to change the world of blockchain. “Change” in ways that today may very well be a scene in a science fiction movie about the future. With HF20 coming, and the new Smart Media Tokens (SMTs) we shall once again be steps, jumps, leaps ahead in the evolution of Steem and Steemit and as with every change that has occurred in the world of Blockchain it shall open up new opportunities that are on an international level. We are at the beginning of something that can only be described as “breathtaking”. What have I done to date as a Steemian that shows initiative and creativity? We have all read about the contributions that some witnesses have made to our community. Many have focused on the programming/coding aspects of the contributions. When contributing to any community out there the key element is ‘Initiative’, helped along with creativity, no matter what field the contribution may be in. My approach to this was one that experimented with the idea of incorporating what we as members of a social network have been able to see and learn from experiences. 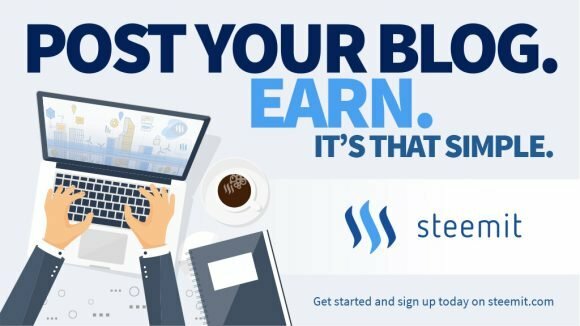 One of these was to introduce the notion that Steemit can be utilized for a lot more than just blogging, using the existing platform. A test run was done by me in the field of “Direct Business” and later on “Fundraising” for real life charity/good will organizations. STEEMIT AUCTIONS - CAN IT BE DONE? LETS TRY & FIND OUT! Since then we have seen many people doing so and experimenting with the various options that this existing platform has to offer. I went into it in a post and justified it from a “consumers” angle. The Future Of Steemit = The Customer Gets What The Customer Wants! Enable Community Pages that are run and managed by communities in a practical and already acceptable manner. Although this may take a lot more than just adding a new page to the menu bar, the idea as such is something that shall become inevitable in the future as our social network grows. I gave these two examples to show how my trail of thoughts are proactive and constructive, with the best interests of everyone in mind. Hence, as such, I have no doubt in my mind that my contributions at the Witness meetings shall be objective and constructive with the highest level of positivity. Getting back to my alternative approach to tackling some topics and issues here on Steemit! 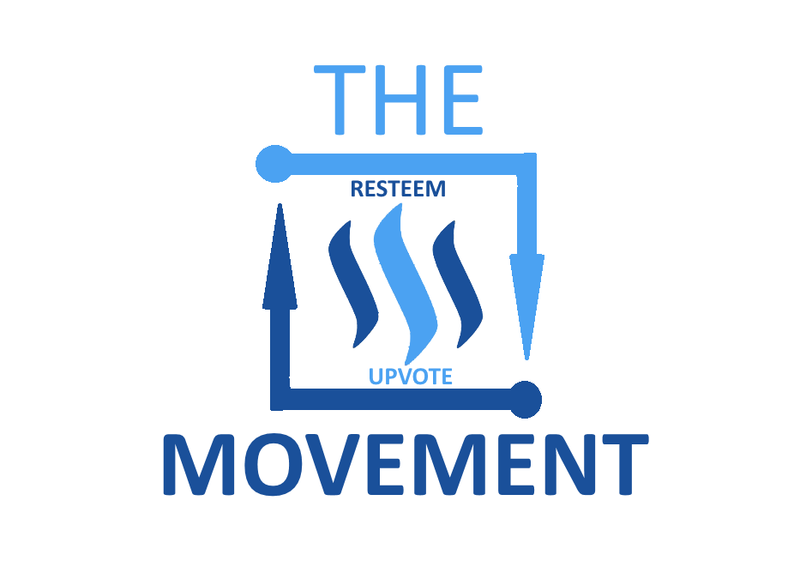 As mentioned earlier I believe in individuality and in line with this I have started up a Grassroots initiative that I named “The Resteem and Upvote Movement”. Promoting live, one on one interaction rather than just relying on bots. 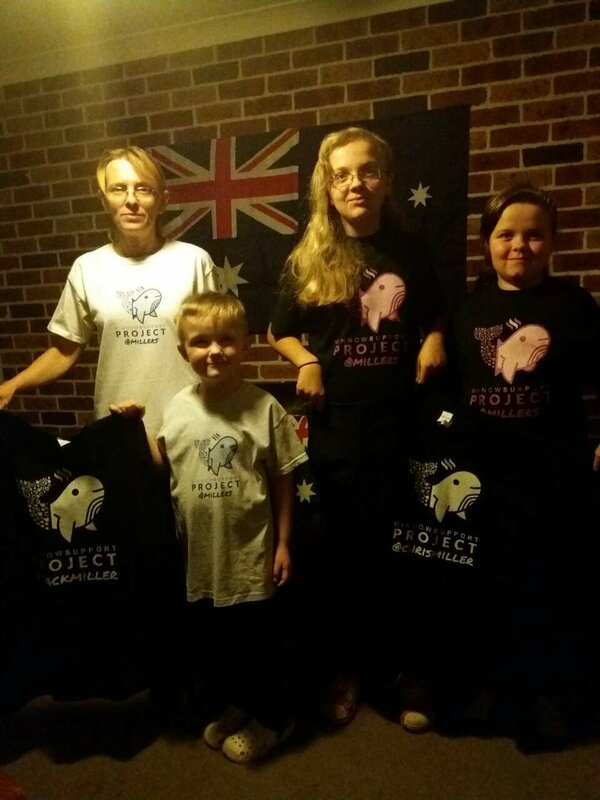 Promoting the idea that we as people can make a difference here on Steemit is something that we can never get enough of. Positivity and pro-activeness need to be seen as the foundation for building this social network. Never can get enough of it, if you ask me. So far to date, I have written a few posts promoting the idea that we should all participate in community projects. I have also helped people who asked me via the Discord chat service for guidance/assistance in delegating SP to MSP projects. Personally, I have delegated over 1000 SP to Minnow Support Projects and likewise over a 2000 SP to other projects out there. Over 3000 SP altogether. How To Delegate Steem Power The Easy Way! What projects am I currently working on? What projects do I have planned? I currently have two bots in the works which shall be community-based and as such not a Profit-makingg” service. But a means of supporting Steemians who need that extra little bit of support on their posts. Likewise, I am setting up a bot for myself and for my wife so that we can independently and effectively support people 24/7 via our personal accounts. I have been working with a guy I know who designs web pages to help me set up a web page which shall be related to the above-mentioned projects. & I am actively working with a group of people here on Steemit in the creation of a new Smart Media Token (SMT). So as I’ve seen on many other Witness introduction posts, the question that seems to be more of a sales pitch than a “Question”. 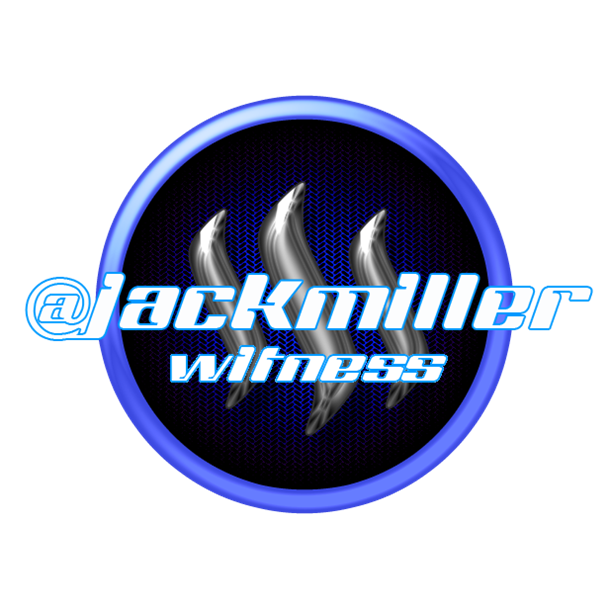 Why vote for me @jackmiller for Witness? As I stated, my Witness server is up and running full time for the next twelve months with one of the most reliable Witness server providers and support teams here on Steemit, Privex Inc. No bailing out or cutting corners because this is too important. I’m all in. Who I am and what I stand for:loyalty and dedication are two things that I consider to be among the most important virtues that I have to offer here. My initiative and creativity as an individual: I know that my constructive, positive attitude and approach shall help not only me but others too. Taking this into consideration I know that as an individual I can contribute to the Witness meetings as a member of a team, as a partner. Steemit to me has become too important to look at the people I am working with as “competition”. I shall always look at everyone as a partner, as colleagues and most importantly as people. The HUMAN factor to me shall always be priority number one. My vision of Steemit: Well, I have proven to myself and to others that Steemit can make a real difference out in “the real world”, which means Steem is already a part of the real world. It is not just a virtual reality, it has already become the real deal in the real world. No stopping us from here onwards. 1. To invest into the services that are direct for the users, not only “voting bots” which may be most popular at this moment, but useful services that everyday​ users can use to better their experience and increase their productivity. 2. I firmly believe in “community” based representation. So apart from investing into more community witnesses, I shall be placing myself as a person who shall do what is possible as a witness to ensure that the voice of users gets relayed to the right “departments” including but not limited to the Dev. Team, to the Witness Forums/Meetings and 3rd party service providers. In the long-term​ picture of things, as the number of Steemians grow into the multi-millions, so too shall the number of various communities grow and the need for community representation. I am aware even at this moment in time that I as an individual witness may inevitably serve as a member of a community witness one day. A member of a team that shall help grow this endeavour of ours far beyond any of the existing social networks out there. In fact as teams of people unite and SYNERGY becomes the key factor in progress, I am even now at this early stage convinced that we have the potential to achieve what many cannot yet imagine as being possible. 3. As a Witness, I see other witnesses as partners and not as “competitors”, as with any team out there, there should be a wide variety of input. With no disrespect to the importance of the role that programmers have in this field. All those who are working on various programs, plugins and modules (3rd party apps) that use Steem, no matter if they are witnesses or not, I believe that a diverse community as Stemians need to find a method to ensure that all the necessary aspects of a community be established. As with any form of representation all aspects of the community need to be included, from the those that are the majority to those that are minorities. We are a community, a “nation of Stemians”. So if we are to build a long term future then this must at all times be the core foundation that the team of witnesses builds on. 4. In addition to concentrating on the user friendliness of the flow of information and effective representation of our diverse Steemian nation, one of the key things that I shall be working on consistently is the promotion of Steem as a Cryptocurrency. Alongside all the efforts that are being put into the promotion of the Steem Blockchain and the Steemit platform, I shall put together an action plan for my future work to help grow the ecosystem by promoting Steem. Which shall definitely expand once the SMTs are released. These are the 4 points that I wanted to point out here in my introduction. So that readers can clearly see and understand some of my key priorities. I am not a dreamer, I do understand that this is a long-term​ endeavour that I have to dedicate myself to 110%. All in all, I am a person that is productive, that is constructive and I truly enjoy a challenge. I am supportive of others and fully encourage everyone at all times to give 110%! People express themselves with WORDS, but prove themselves with ACTIONS. So when we take into account the facts here, from me investing long term into a Witness server that shall not make any form of income for a very long duration of time and the fact that I have gone all out in ensuring that the server be 100% reliable and up to speed with some of the most high speed service and support on the market are as good as a written, signed and sealed guarantee that your vote shall not go to waste. This is no 'sales pitch'. Well sales pitches sell something that is profitable direct for the seller and seller alone. This here is a written guarantee that when you vote @jackmiller for Witness, you are getting everything listed in this post. From the current up and running server to the necessary upgrades (Seed Node and backup server) when the time comes for it. No shortcuts, no fine print, no hidden agendas. Steemit has given me and my family a world of new opportunities and it is only fair that we invest back into it. Giving back/contributing to the source that has made an infinite amount of new opportunities for us and everyone else here alike is a long term investment helping make dreams come true and expand on the possibilities offered to everyone. Thank you for your time, I understand that this post may have been a bit long however like I mentioned, I do take this very seriously and wish to ensure that my intro post covers all the bases. When I do something that is as serious as this, I do it to the best of my abilities.